Maxime Hibon is a French photographer who spent close to two decades in NY. His work in advertising has enabled him to learn from some of the best and most exceptional talents in the fields of fashion, cinema, music and photography. Over the years, he's worked on advertising projects with the likes of Steven Klein, Kanye West, Patrick Demarchelier, Julian Casablancas, advancing each time his own perception of what it means to be driven by a need to create passionately and methodically. 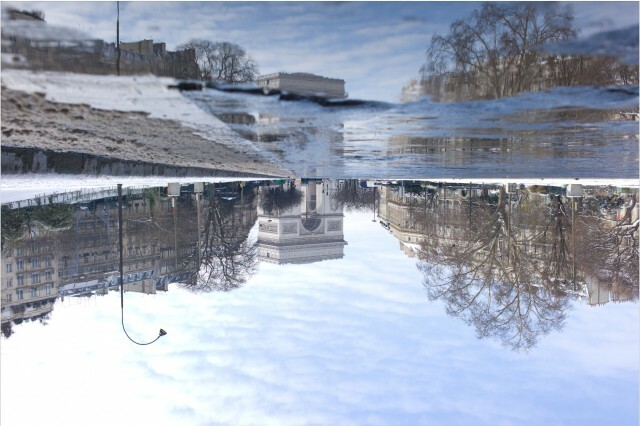 His reflexions series enable us to look at a world from another perspective, one built by multiculturalism and travels. Like many artists before him, he is a bridge between the world of advertising and art. Maxime Hibon did his first solo show in Nyon Switzerland at the Arty Show Gallery and collaborated for three months with the LUTETIA Hotel in Paris where he had a solo exhibit, continuing the long tradition that the Lutetia plays in the Left Bank's creative and artistic circles. He just participated to the AAF Brussels with L Gallery out of Belgium and his work is featured in EDGAR magazine's february edition.